Higher costs are gnawing away at the profit margins of the top 1,000 companies based in Singapore, fresh figures from DP Information Group yesterday indicated - a further suggestion that the tightening of foreign-labour inflows has not yet translated into higher productivity. With an ongoing push to make foreign labour more expensive, a talent crunch, and higher rent costs, the growth in profit is lagging the surge in turnover, according to data from this year's Singapore-1000 list, which ranks Singapore-based companies in order of their sales. The total revenue of Singapore's top 1,000 firms for the period between June 1, 2012, and May 31, 2013, rose 13.9 per cent over the year to $2.75 trillion. But combined profits for these firms were up just 2.1 per cent to $150 billion, compared to the same period a year ago. The healthier bottom line was effectively lifted by strong performances in the services sector, given that eight of 11 main sectors in Singapore registered lower combined earnings. Profits in the services sector jumped 62.6 per cent to $11.5 billion in this year's ranking. This was driven mostly by the healthcare sector, which has taken advantage of the pressing needs of a "silver generation" in Singapore, and the demands of affluent patients from the region, said Chen Yew Nah, managing director of DP Information, at a press briefing yesterday. Overall profit margin for the Singapore-1000 companies ranked this year fell to 5.09 per cent, down from 5.78 per cent a year ago. The margin pressures have also been felt among smaller firms, as shown in the ranking for the top 1,000 SMEs (small and medium enterprises) this year. While combined revenue rose 5.5 per cent for the period to $31.1 billion over the year, overall profit was up just 1.5 per cent to $3.4 billion compared to the same period a year ago. These figures come as the government tries to wean companies off a dependence on foreign labour. Since 2010, the government has raised, and revised, foreign-worker levies. It has also put out stricter foreign-worker quotas. But in a KPMG survey released this week, about 45 per cent of polled companies saw manpower costs increasing at a faster clip than productivity gains. Companies in the IT sector have been particularly hit, with profit margins nearly halved to 8 per cent, data from DP Information showed. 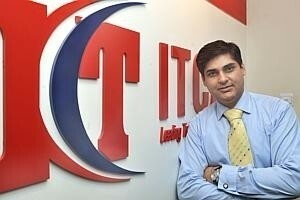 Amit Sujan, CEO of IT firm Itcan Pte Ltd, said that while costs have been increasing across most developed markets such as Singapore, he is seeing high local-staff turnover, and a general shortage of labour. "In the last one year, I've been declining at least $1 million worth of work every month. Straightaway, we tell the clients: We do not have people," he said, adding that these lost clients are hiring IT firms in Hong Kong and Malaysia, instead. Singapore-based companies still have a strong credit standing overall, though the growth in the number of companies rated DP1 - a rating that reflects a default probability of less than 0.1 per cent - has eased for the first time in the post-crisis period. The proportion of DP1 companies has been on the rise since 2008, but it came down to 19.8 per cent (or 198 companies out of 1,000) this year, from 20.9 per cent in 2013. About three quarters of the Singapore-1000 companies have investment-grade ratings this year, though the exact percentage of 75.9 per cent has also come off slightly from 76.6 per cent a year ago. Head of commercial banking at ANZ Banking Group, Ng Wee Lee, said Singapore companies are still operating in a liquid environment. But she cautioned that some companies may be hesitant in hedging against the likelihood of higher interest rates, with the tapering of quantitative easing. "Because we've enjoyed a low interest rate environment, people might have taken it for granted," said Ms Ng, adding that some companies might be looking to pass on some of the borrowing costs to clients instead. Companies could consider locking in loans at fixed rates for the next two to three years, and watch for currency risks, she said.